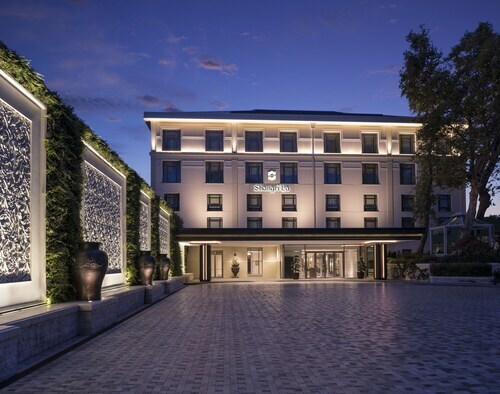 Located in Besiktas, this hotel is 0.1 mi (0.1 km) from Yildiz and within 3 miles (5 km) of Dolmabahce Palace and Taksim Square. Istiklal Avenue and Trump Towers Istanbul are also within 3 miles (5 km). 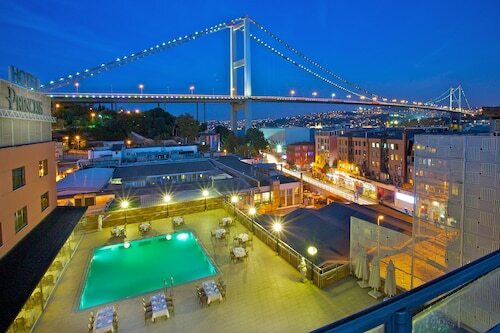 Located in Istanbul City Center, this spa hotel is within 1 mile (2 km) of French Street, Taksim Square and Galata Tower. 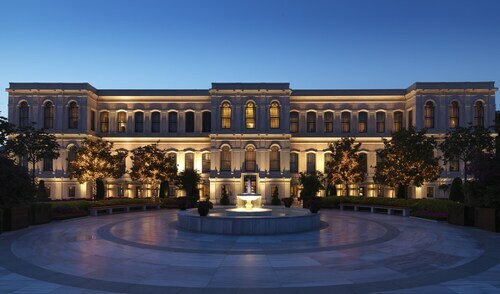 Dolmabahce Palace and Istiklal Avenue are also within 1 mile (2 km). Tophane Station is 6 minutes by foot and Findikli Station is 7 minutes. 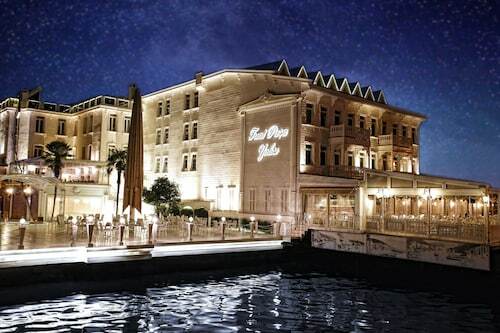 Situated by the ocean, this luxury hotel is 1.2 mi (1.9 km) from Belgrad Forest and within 3 miles (5 km) of Sait Halim Pasha Mansion and Acibadem Maslak Hospital. Istinye Park is 3.1 mi (5 km) away. 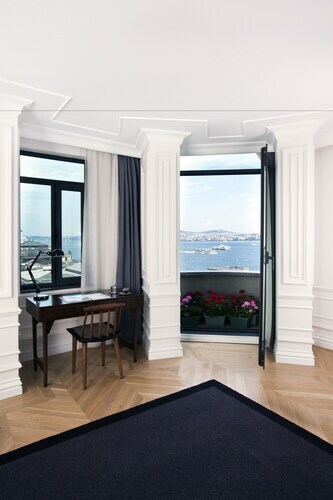 Now that you've made your decision to visit Bosphorus, ebookers can assist you in finding a spot to stay by offering an easy way to filter through hotels. Our site rapidly provides the most popular hotels in the surrounding area so you can have a range of options to pick between. Narrowing down your search is easy using the various tools our site offers. One helpful component of our site is our map, offering you an easy way to find a particular area for your holiday in Bosphorus. You can also modify the filters to sort by popular location or area to identify accommodation close to the city's local attractions. If you want hotels in a particular price range, change the price per night filters to lock down a place to stay that is budget-friendly. 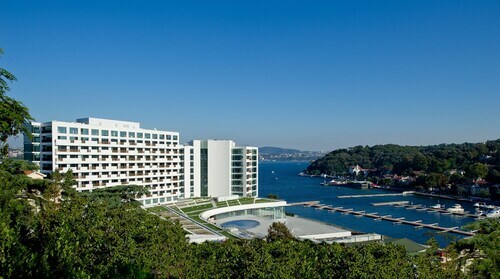 If you're looking for certain facilities and services like free valet parking or an indoor pool, you can decide to tailor your search so you have the comforts you want to make for the perfect visit to Bosphorus. We would like to help you decide how to get to your destination since you've just locked down on your choice of Bosphorus hotel. We offer many different options for flights and hired cars, giving you a wide variety of choices. You can look for a flight by airport location or departure time so you can cater to your schedule. You'll likely want to look into ways to get around after arriving in Bosphorus. You might want to consider planning to have a car for hire available when you arrive by searching through our car hire deals. 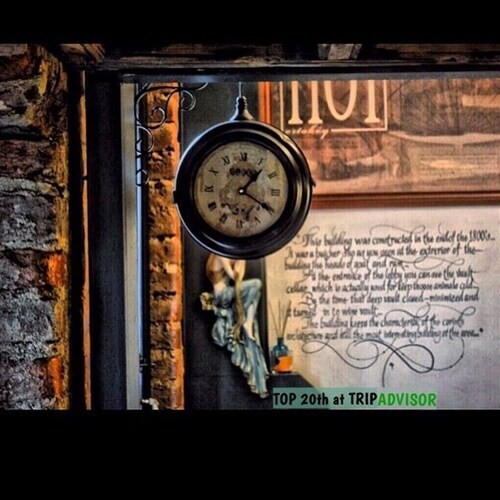 Visiting top sights and landmarks in the area surrounding Bosphorus can be the highlight of any trip. Arranging to have a hired car makes day trips practicable so you can experience everything Bosphorus is known for. Keeping busy in Bosphorus is easy when you use ebookers to sort through everything the area has to offer. Now that you've filtered your searches to find your ideal hotel, you can see what's in the area and schedule your outings with us. From food tours to dinner cruises, you can search for Things to Do on our website. No matter how you want to explore Bosphorus, you can check out our site for a variety of interesting activities. We also give you the option to see guest ratings, which can help you determine the activities that might be best for you. You can also earn travel rewards and upgrades so you'll be able to make the most of your budget. Now the only thing left to do is to head out and enjoy your holiday. One of the nicest hotels I have stayed in. The Room was huge, clean and the reception staff ever so friendly! The location is perfect and about a 20min walk to old town as well as being minutes away from restaurants/bars. I would definitely recommend staying here as I know I will be back! als wir motiviert ins Hotelzimmer hineinkamen, waren wir in schock. Keine ähnlichkeiten wie auf den Fotos auf der Webseite. Den Mann der denen 5 Sterne gegeben hat, würde ich gerne kennengelernt haben. Kein Kühlschrank, kein Safe. Statt 3 nur 2 betten wir mussten mehrmals anrufen und dannach betten, dass Sie entlich mal, die Sachen und bringen, nach ca. 4 mal anrufen kam entlich das bett, obwohl ich 2 Monate voraus reserviert hatte.. naja nur das Putzdienst hat es verdient die 5 Sterne zu behalten den rest eine Katastropfe nicht zu empfehlen..
Eine der besten Hotelkonzepte die ich kenne! Die Lage ist perfekt direkt mitten in Ortaköy. 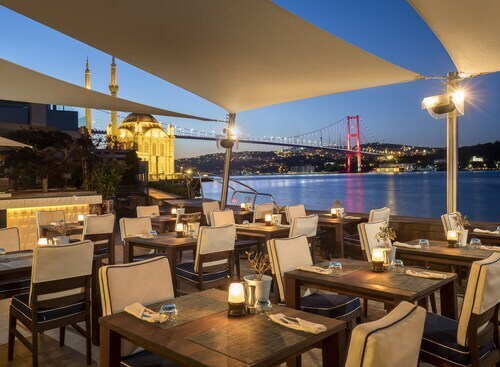 Für einen Besuch nach Istanbul ist es definitiv Wert, besser geht es nicht und die Gegend ist toll, zum Shoppen wie auch fürs Night Live IDEAL und das alles zu Fuß in ein paar Minuten, der wahrnsinn! Die Zimmer sind sehr modern und geschmackvoll eingerichtet und total sauber! Die Bedienung ist herrvorragend! Ich freue mich auf ein Wiedersehen! We could not speak more highly of the hotel. 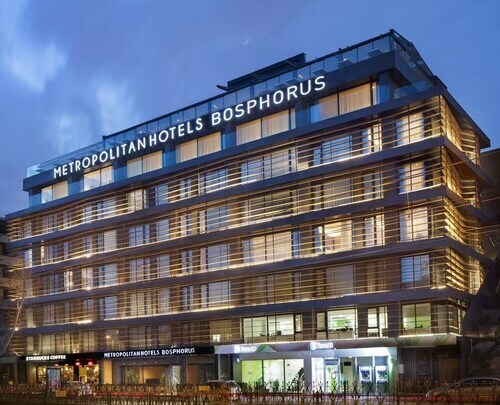 Perfect in every way - rooms spotless, beds extremely comfortable, staff very attentive, food delicious, the pool area with view of the Bosphorus was sensational . 4 years ago by Sarah H.